>I am headed to Southern Idaho in less than 48 hours to visit family and chase birds with my bird dogs! This is a trip I have been anticipating for 12 months! The girls (four-legged and two) and I are getting up at 0’dark-30 to make the 11 hour drive with one detour to Ogden, Utah to drop off a Pointer for a member of Utah Bird Dog Forum. We plan to chase huns, chukars, valley quail, and grouse with our bird dogs. My younger brother Andy is two grouse species away from the Idaho Royal Flush…I hope we can find the last two species together! Andy and I are like two peas in a pod when it come to bird dogs and music! I love being out in the Uplands of Idaho with him in the Fall! I hope to return to Colorado much wiser and with many stories (or lies) to tell! Dr. Joe Spoo has written a very awesome article that every dog owner should read on dental disease and the scenting ability of bird dogs on Strideaway. 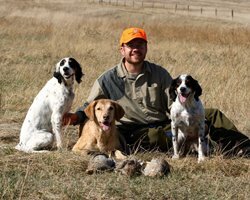 Joe has a very informative website (gundogdoc.com) and is one of the leading gun dog veterinarians in the US. Joe also has great taste in dogs…he has English Setters and a FB English Cocker! Great job Joe! 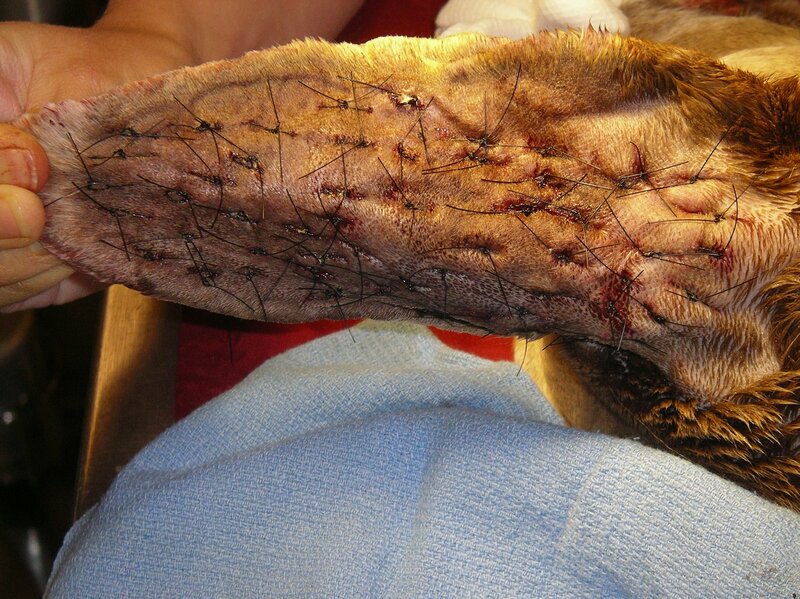 These are photos from a bird dog that developed an aural hematoma after getting a grass awn or weed seed in her ear after a recent September grouse hunt. 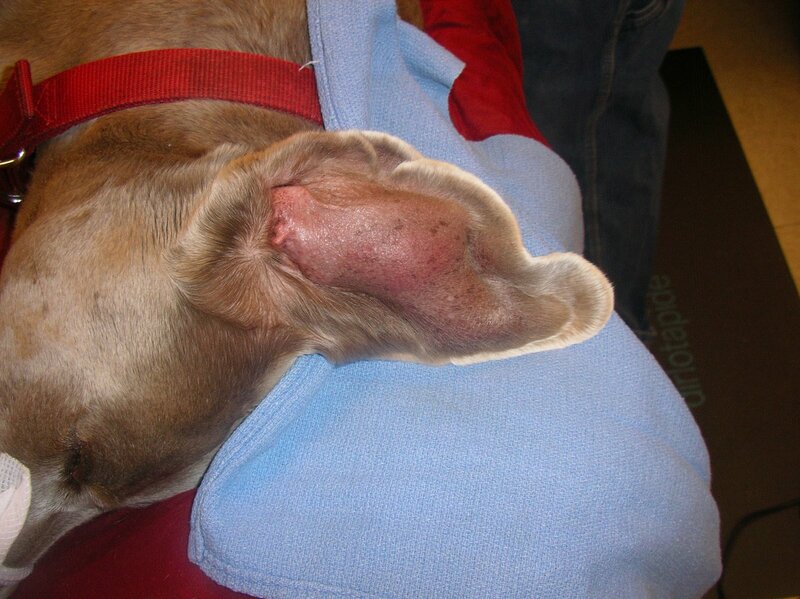 Aural hematomas develop when a dog repeatedly shakes its head or causes trauma to the blood vessels in the ear, and hemorrhage occurs within the ear causing painful swelling. I wanted to share these photos to stress the importance of having your bird dog checked out if you suspect a problem! 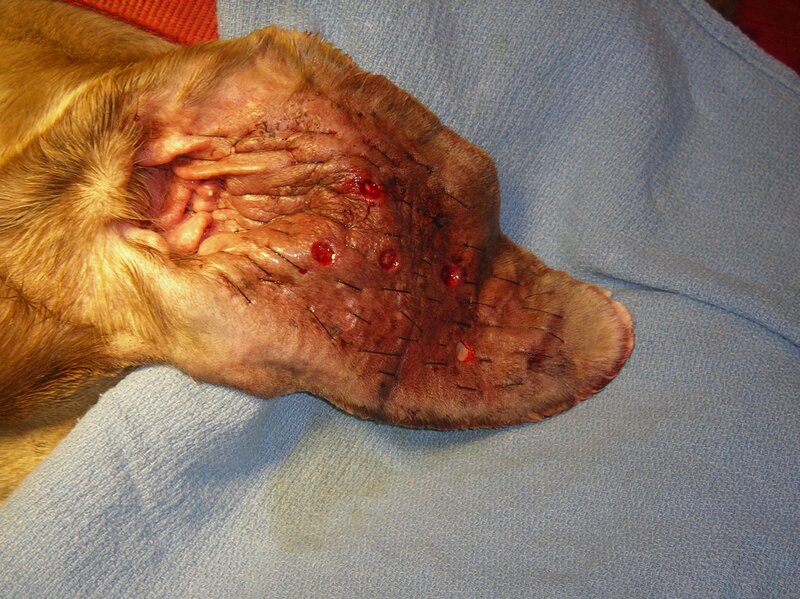 This aural hematoma may have been prevented had the owner brought their dog in as soon as she started shaking her head! >Heart breaking and nasty. I wish they could just talk and just tell us what the problem is.Then again, they would be able to talk to us during force fetch as well… maybe its better the way it is! Good luck in Idaho! >S.My rescue had an AH this summer, got him in ASAP…my, my…no more beauty pagents for him anynore. >I found your blog through google. 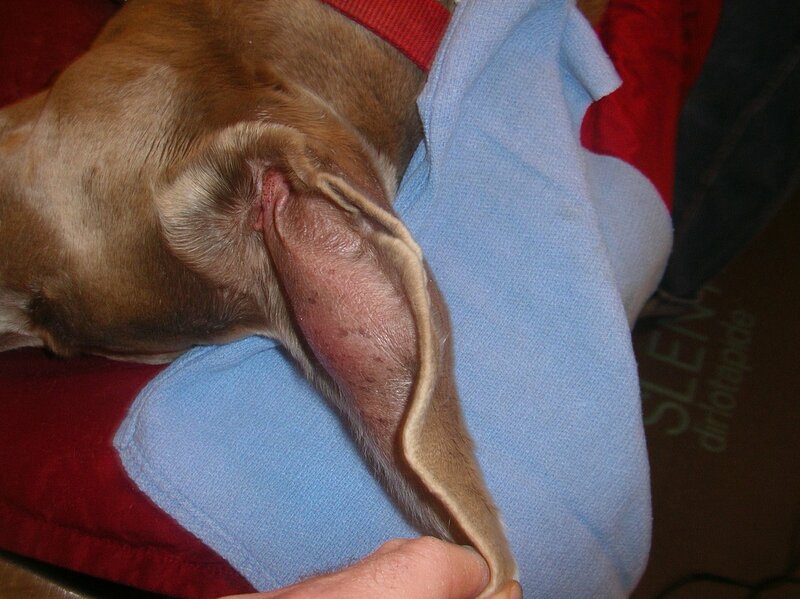 My lab has what I think is an aural hematoma…I called my vet tonight and am taking her in tomorrow. She’s 13.5, blind, deaf, incontinence issues, arthritic, and has what is possibly a large cancerous tumor that we decided 2 weeks ago just to watch b/c I’m not anxious to put her under at this age. And now this. Ugh.I’ll be referring my dad to your blogs. He has an Appalachian Turkey Dog. Have you heard of them? Is this a common issue dogs face? Stephanie…I see it about 4 or 5 times a year in dogs with chronic ears issues.